And other year rolls around and it's time once again to celebrate a very special man. It's fitting that his birthday falls on the day he appears on news every, because for a number of years now it has been our main avenue to see him on a regular basis as NEWS spends so much time on the shelf and inactive. 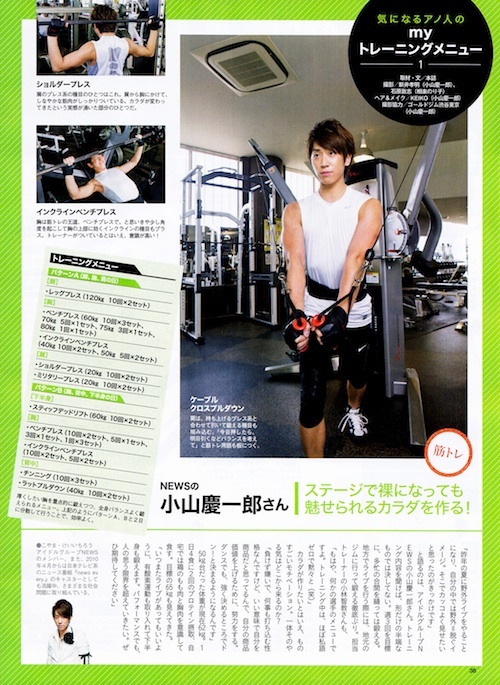 It's also most appropriate that this anniversary co-incides with his appearance in Tarzan magazine, as his dedication to his training reminds us of his dedication to NEWS and his unfailing concern for NEWS fans. Here's hoping we get to enjoy the fruits of both in the not too distant future! I was literally just about to go to bed now because it's 2:46am here - But I thought "let me just check lj quickly"
The whole day(4/30), I kept singing Happy Birthday, now that it's 5/01 here - I can still continue to celebrate his birthday. Thank you very much for sharing the file. And Happy Birthday to Kei-chan. a nice present for all Kei chan's fans, thx so much!!! 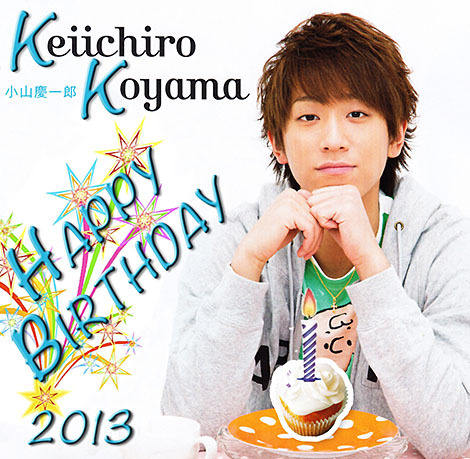 Happy belated birthday to Koyama Keiichiro!